First, a customer of Oriental Financial Services brought FINRA Arbitration #18-03589 concerning Melendez’s trading practices. The matter, filed on November 13, 2018, concerns claims of Oriental Financial Services failing to supervise Melendez’s Puerto Rico closed end fund trades in the customer’s account. Allegedly, Melendez failed to inform the customer about investment risks and misrepresented those risks when advising the customer to buy the closed end funds. Additionally, the customer alleged that there was a breach of fiduciary duty and negligent conduct in executing her account transactions. As a result, the customer requested $165,000.00 in compensation. Although the customers’ clams may hold true, this matter is undecided. Second, an Oriental Financial Services customer disputed Melendez’s allegedly unsuitable practices by filing FINRA Arbitration #18-03848 on November 6, 2018. Altogether, the customer alleged that Melendez or the firm breached a fiduciary duty, beached a contract, engaged in fraudulent activities, sold the customer unsuitable securities, and omitted and misrepresented facts about municipal-debt investments. Accordingly, the customer alleged $160,000.00 in damages. Apparently, this claim is undecided. Third, on November 1, 2018, an investor filed a FINRA Arbitration #18-03232. Namely, the Oriental Financial Services customer alleged that Melendez sold unsuitable municipal-debt investments. Not only that, but Melendez allegedly misrepresented information about those investments such as risks and terms. Because of this, the customer seeks $41,983.77 in compensation. Apparently, the firm and customer have not resolved this matter. Fourth, on August 17, 2018, a customer of Oriental Financial Services filed FINRA Arbitration #18-02924 on August 14, 2018. Specifically, the customer claimed that Melendez misrepresented municipal debt risks. Allegedly, the customer did not want to invest in speculative and risky investments. Apparently, Melendez did not follow the customer’s instructions. Instead, he supposedly put the customer’s funds in risky investments.. Moreover, the customer asserted claims of a violation of fiduciary duty and fraud. As a result, the customer alleged $135,000.00 in damages. Customers filed the disputes between October 18, 2013 and November 15, 2018, all during the time Melendez worked at Oriental Financial Services. Other customer have alleged that Melendez over-concentrated their investments and used an unsuitable leverage strategy in their accounts. Most customers claim that Melendez misled them about Puerto Rico’s economic conditions and credit worthiness. This supposedly led customers to buy investments believing they had principal protection. Once Puerto Rico’s economy failed, its credit rating dropped, and so to the value of customers’ Puerto Rican based investments. Many of Melendez’s customers claimed losses on their Puerto Rico investment holdings, including Electric Power Authority (PREPA) bonds, Puerto Rico bonds funds, and Puerto Rican municipal debt products. Some have settled; most are pending. 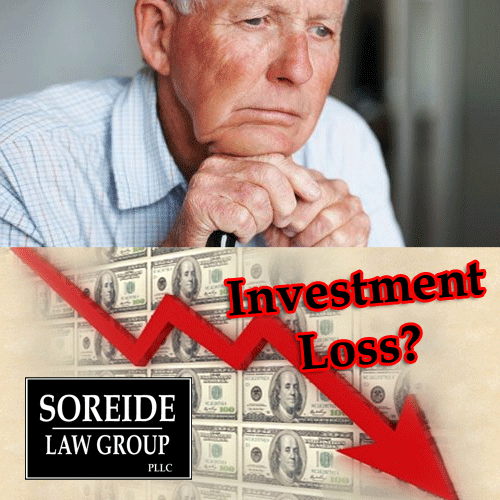 If you experienced losses by investing in Puerto Rican bonds from Oriential Financial Servcies brokers including Gustavo Melendez, contact Soreide Law Group at (888) 760-6552 and speak with our qualified counsel about a possible recovery of your losses. 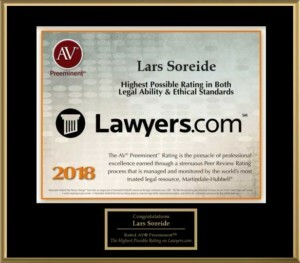 Soreide Law Group represents clients nationwide and only charges a fee upon recovery of losses.